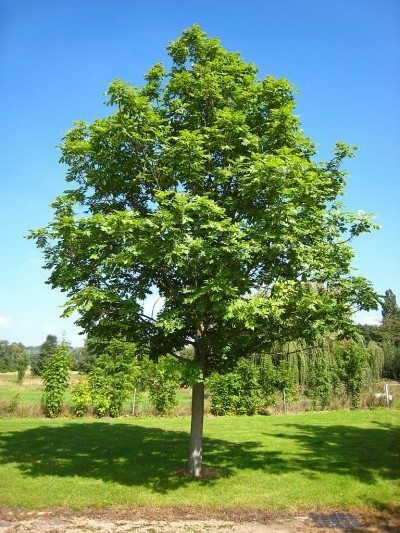 Ash trees are popular and attractive landscape trees. However, pruning ash trees is essential if you want healthy, vigorous specimens. Cutting back ash trees appropriately helps to establish a strong branch structure around a central leader. 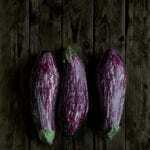 It can also reduce diseases and limit pest damage. 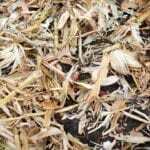 Read on to learn how to prune ash trees. Ash trees are handsome deciduous trees, native to North America. They offer attractive, rounded crowns in the growing season and beautiful autumn colors. The wood is hard, but agile, and most baseball bats are made of ash. Ash trees have an opposite branching structure. The opposing branch growth usually requires pruning to keep the tree balanced. In addition, the tree can be attacked by diseases and pests that can be controlled by pruning. Trimming your tree is not difficult, but it helps if you follow a few ash tree pruning tips. When to prune ash trees depends in part on why you are making the particular pruning cut. Unless you are pruning to remove dead and diseased branches, you should take care to prune in late winter, while the tree is still dormant. For example, if you must remove live branches to allow additional sunlight and air to circulate inside the tree crown, wait until winter to act. Prune out broken, diseased, infected or dead ash tree branches whenever you spot them. The sooner you remove these branches, the less likely it is that decay-producing fungi spread to other areas of the tree. 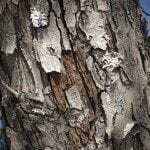 When you inspect the tree for problem branches, be sure to look at the underside of tree bark for an S-shaped pattern. This indicates the presence of the Emerald Ash wood-boring beetles, a pest that can quickly kill the tree. If you notice defoliation of some branches, it may be a sign of anthracnose. Any signs of brown areas on leaves or cankers on the branches should be your call to start pruning back ash trees in the very near future. These pests weaken the tree and can create serious problems if not addressed quickly by trimming back ash trees. Use a three-step trimming method to remove branches from an ash tree. First, make a cut on the underside of the diseased or damaged branch. This cut should pass a quarter of the way through the branch about half a foot from the branch collar. Next, cut off the branch completely, making the cut one inch past the initial cut. This cut should be made from the top side of the branch. When you finish this cut, the branch will fall away. As a final step, remove the branch stump. 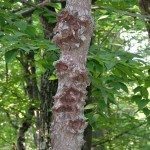 Read more articles about Ash Trees.